Racism, Hatred and Islamophobia depicting children as terrorists. This article is of particular relevance in relation to the followup January 15, 2016 Charlie Hebdo caricature of the death of Aylan Kurdi. WARNING: This report contains some images readers may find distressing. French satirical magazine Charlie Hebdo has reportedly published its own controversial take on the refugee and migration crisis. A cartoon attributed to the publication and circulating on social media features drowned Syrian toddler Aylan Kurdi lying face down on a beach with the words “So close to his goal…” written above him. 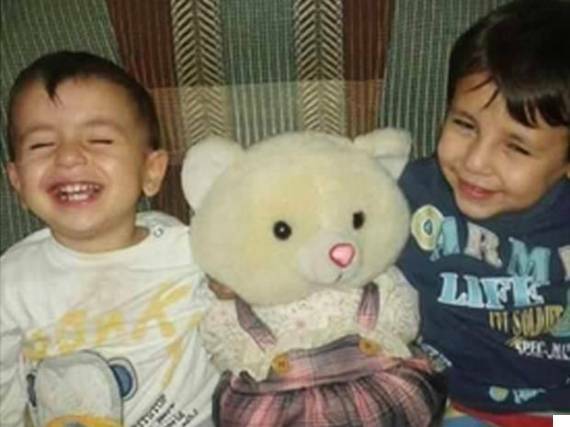 Three-year-old Aylan drowned along with his brother and mother when the boat they were travelling from the Greek island of Kos to the Turkish town of Bodrum capsized. The family fled after Islamic State militants advanced upon their home town of Kobane. Another cartoon said to be from the same edition of the magazine is entitled The Proof that Europe is Christian and features a man believed to be Jesus standing on the surface of the ocean while a child’s legs’s (presumably meant to be Aylan’s) protrude from the water. The cartoons have been met with a mixed response. 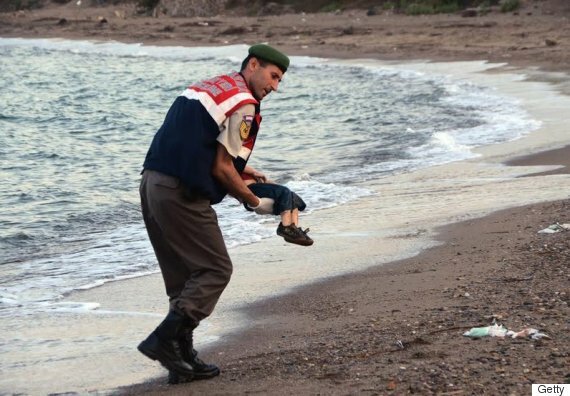 Turkish newspaper The Daily Sabah claimed the images mock the drowned toddler. Barrister Peter Herbert, who is Chair of the Society of Black Lawyers and former vice chair of the Metropolitan Police Authority, tweeted: « Charlie Hebdo is a purely racist, xenophobic and ideologically bankrupt publication that represents the moral decay of France. The Society of Black Lawyers will consider reporting this as incitement to hate crime and persecution before the International Criminal Court. Charlie Hebdo is a purely racist, xenophobic and ideologically bankrupt publication that represents the moral decay of France. 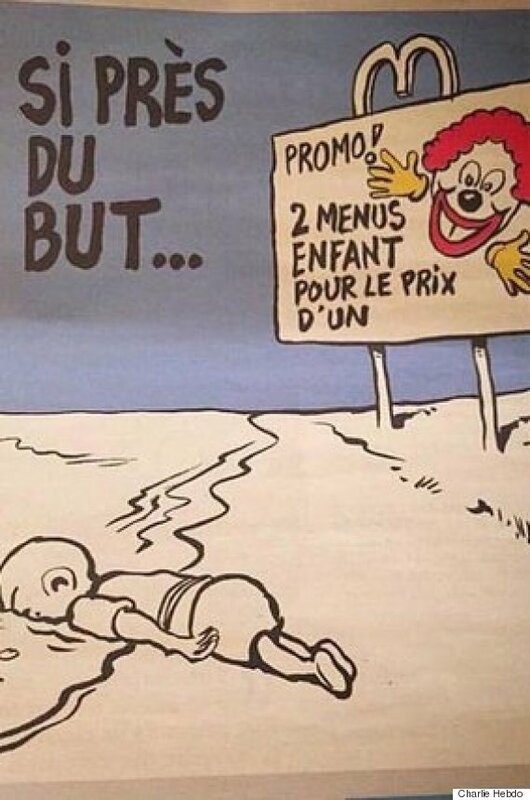 Charlie Hebdo managed to mock Aylan Kurdi, the boy who drowned, in the name of satire. They stand for freedom of speech or from humanity? 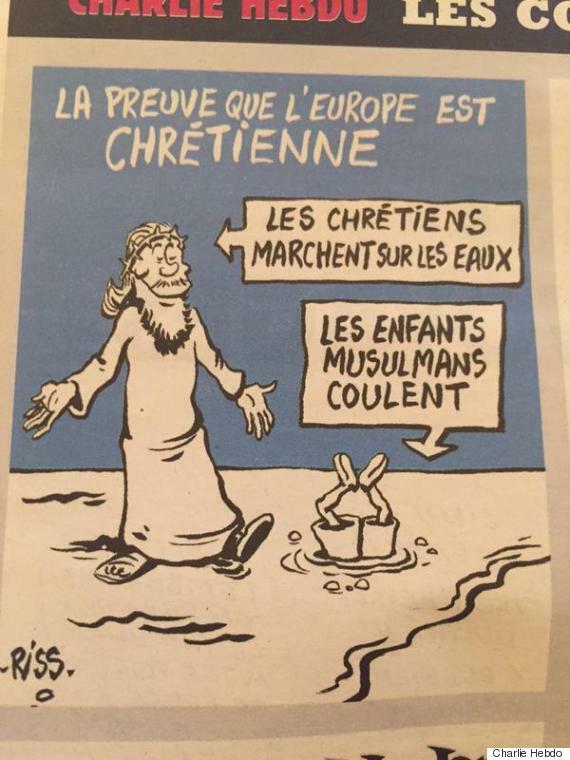 Charlie Hebdo mocked the death of the Syrian refugee child, Aylan… Anyone going to still state #JeSuisCharlie????? But some commenters say the cartoons are not mocking the dead child and are instead using the tragedy to ridicule Europe for not doing enough to prevent it. The core of Charlie Hebdo’s staff were murdered in January when a gunman stormed its offices, igniting three days of bloodshed around Paris that left 17 victims dead. The attacks ended when security forces killed both Charlie Hebdo gunmen —brothers Cherif and Said Kouachi — and an accomplice — Amedy Coulibaly — who killed a policewoman and later four hostages at a kosher grocery. 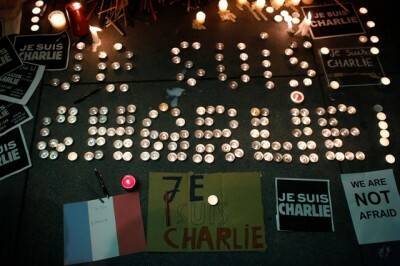 After the massacre the slogan Je Suis Charlie was adopted by supporters of freedom of speech and freedom of the press and trended worldwide in a gesture of support for the magazine. The weekly publication has a history of drawing outrage across the Muslim world with crude cartoons of Islam’s holiest figure, resulting in the firebombing of its offices in 2011. A year later, the magazine published more Muhammad drawings amid an uproar over an anti-Muslim film. The cartoons depicted Muhammad naked and in demeaning or pornographic poses. As outrage grew, the French government defended free speech even as it rebuked Charlie Hebdo for fanning tensions.